Originating in Denmark, hygge (pronounced hue-guh), is an all-encompassing term for the feeling of contentment that comes from being comfortably cozy in your own space. The phrase made its trans-Atlantic voyage decades ago, but reached peak trendiness in 2016, when it was shortlisted for the Oxford Dictionary’s word of the year. Of course, the best application of hygge is not in the pages of a dictionary, but in the atmosphere of your home. Here’s how you can bring that blissful coziness of hygge into your space, regardless of the time of year. Start building the foundation for a hygge-inspired home by ensuring that your house is filled with nothing but clean, warm air. One of the best ways to accomplish a sense of coziness is to avoid having a drafty home. While it’s one thing to be bundled up on the couch with a blanket, it’s another to rely on that blanket to stop you from freezing. Perform a visual inspection. Search for obvious leaks and places where cold or hot air could enter your home. Perform a pressurization test by turning off all heat-producing appliances on a particularly blustery day. Shut all windows and doors and use a fan or vent to blow as much air out of the room as possible. Light an incense stick and watch to see if and where the smoke escapes. This will help you locate small cracks. Hire an expert who can perform an energy audit or a blower door test in your home. Professionals can also survey your duct and sealing system for leaks that will minimize the effectiveness of your heating and cooling system. Parts of your home are also more prone to letting cold air in, namely your basement and attic. 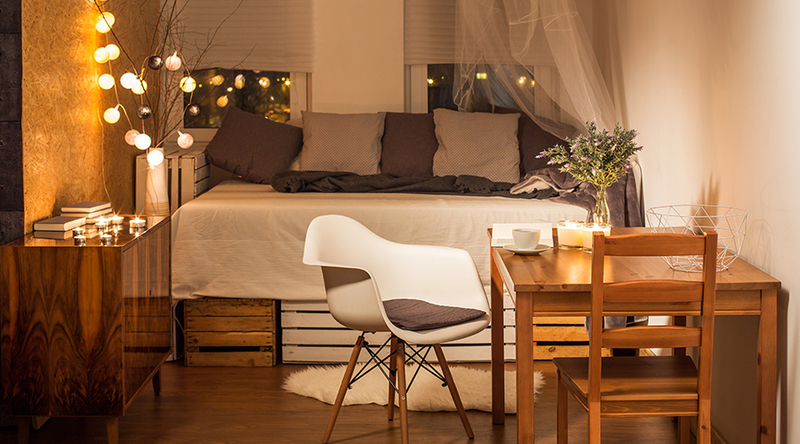 The first rule of hygge: make sure these areas are properly insulated to be more comfortable and save money to boot. Whether it’s summer or winter, keeping tabs on the air quality in your home will make all the difference in accomplishing the hygge vibe. How often do you change the filters on your HVAC system? Experts suggest this should be done at the start of each season, especially before heavy HVAC months like winter and summer. Regularly changing your HVAC filters has been shown to improve the effectiveness of a system by up to 15% — not to mention increasing the air quality you and your family breathe in. A clean filter will mean your system is better equipped to either cool or warm your house, regardless of what Mother Nature throws your way. Fireplaces feature heavily into hygge. They are undoubtedly cozy on a winter day — until they start spitting smoke and ash into your home. Direct-vent furnaces give you all the benefits of fireplace coziness without the smoke and effort needed to tend to a real fireplace. These furnaces are a low-profile way to bring extra warmth into your home. Now that the air in your space is top-notch, you can employ various techniques to make your home more cozy, whether it’s furniture, art, textiles, or paint color. Warm hues are one of the easiest ways to accomplish hygge in your home. These include colors in the red, orange, and yellow range — represented through paint colors or lighting that measure between 2,400 and 3,000 Kelvins, the unit of measurement used to indicate the “warmth” of colors. And while we may not all be bold enough to paint an entire room a deep shade of burgundy, accent walls and furniture are excellent ways to bring a little warmth and coziness into your space. 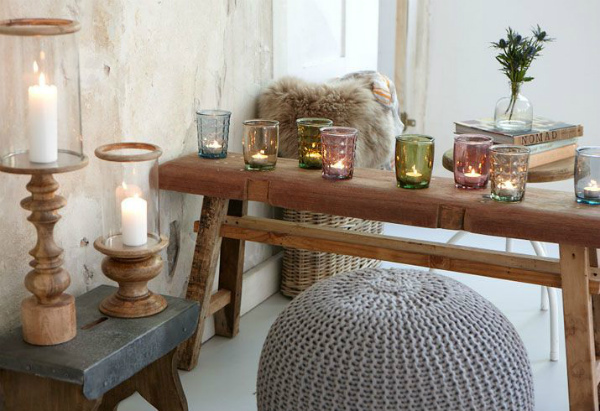 Speaking of lighting, there’s nothing better than candles to set up the perfect hygge atmosphere, even if you have the air conditioning on. Certain scents are calmer than others — look for candles in scents of evergreen and cinnamon for the winter months, perhaps, and ones that smell like flowers and the ocean breeze for summer nights. Everyone has their own taste when it comes to candle scents, so what’s most important is that you go with whatever feels the most cozy to you. Hygge is about minimizing stress, and being in the presence of plants is one way to reach a state of Zen. Certain houseplants purify the air while also looking pretty, and they will be the perfect partner in crime for your freshly cleaned HVAC filter. Fret not if you don’t have a green thumb — low-maintenance succulents, cacti, and air plants are all options that will provide greenery without the effort. This is something our feline friends already know: there’s nothing better than taking a cozy nap in a sun patch. 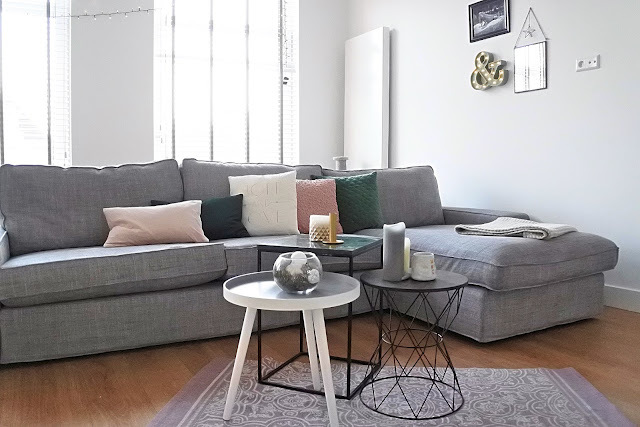 When it comes to hygge in the summer, window dressings should be light, airy, and minimal, so as to not distract from the comfort that comes from the soft summer light streaming into a room. Think the exact opposite for the winter. Heavy drapes will be both practical and aesthetically pleasing. Heavier layers of fabric will make you feel cozier and serve as an additional insulator from a cold night. To hygge is ultimately to improve your mental state of mind, and that’s difficult to do when your home feels like a disaster zone. Clutter impacts our brains and spikes our stress level. As such, you should practice the art of decluttering. What you’re left with will be the items you really need — along with the sense of comfort that will come from having disposed of the rest. If you’re still not feeling hygge, try taking a page out of Martha Stewart’s book and organize what remains. There you have it — some sure-fired ways to bring hygge into your home. So now the question is: are you ready to get cozy? Contributed by: Kevin Burns is the President of Bob Jenson Air Conditioning in San Diego with over 29 years of experience in the HVAC Field. He has worked in every aspect of the industry and has trained dozens of people. He has a passion for doing what’s right for each home and customer and sets this standard for his entire team.